So a couple months ago I posted a video about duping and I think I’m going to start sharing my dupe finds here on the blog. Like most, I love a designer item and will splurge on occasion but I also love a good find and if its an item that I don’t want to spend a lot of money on, I’m searching for a look for less. 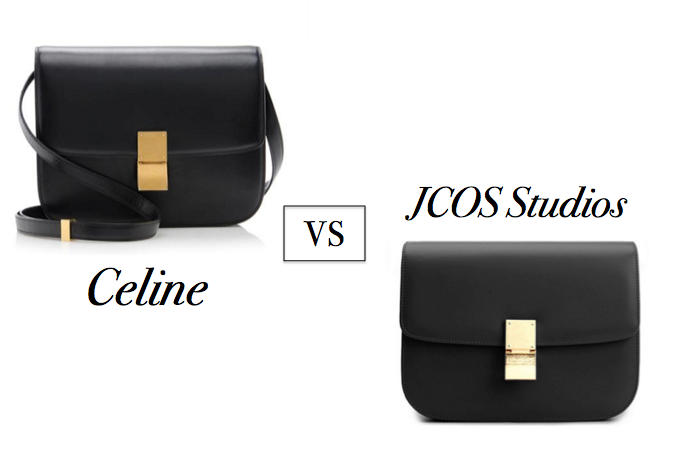 A bag that I’ve been stalking for a very long time is the Celine “Medium Classic Bag”. I love the sleek look and the barely there details, plus its all leather, which is my only criteria for bag purchases. I don’t remember how I came across the online retailer JCOS Studios & I’m almost reluctant to share because the look-a-likes are that good buuuuttt my sharing is the only reason you’re reading this (lol) so check the comparison below. 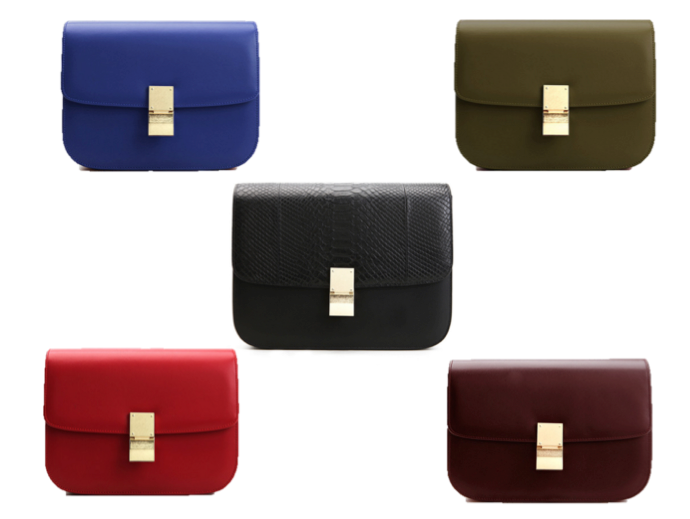 The JCOS option comes in a lot of colors and a black option with snake skin leather. The website shows all angles of the bag and the zoom in option shows the leather is a soft, supple look closely matching the real thing. Check back in a couple weeks for my review video, I put in my order today! Tags: aael, Celine, Fall Shopping, Fashion Blogger, JCOS Studios, personal style, Pocket Books, Purses, Street Style, style, trends. Bookmark the permalink.